Things are coming up orange this week. Due to our big premier of Trekaroo Canada in 2013, it had been a while since Trekaroo launched another one of our 50 states, but I am pleased to announce that today Minnesota is officially orange on the Trekaroo map! 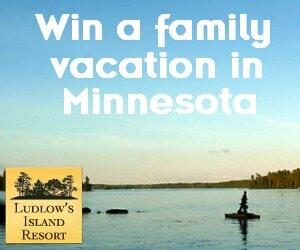 In celebration, we’re having a whole week of fun features and a giveaway centered around Minnesota. So put on your parka (it’s cold out there, yah? ), fill your belly some hot dish and jello salad, and then sit back, relax, and join us as we explore Minnesota. Did you miss our Monday Madness Giveaway? Yes, it is true that Minnesota is known for her frigid winters (which offer plenty of winter fun to residents and visitors alike) but the state also has plenty of outdoor adventure, rich history, great shopping, big city fun, and did we mention all those lakes? The Mall of America, in all of its shop-til-you-drop/amusement park/water park glory, is the most popular attraction with Trekaroo reviewers who love the fact that this is mega mall is much more than just a shopping destination. The wildly popular Minnesota State Fair, or the “The Great Minnesota Get-Together” as it is often called, is the second largest fair in the country and typically plays host to 1.7 million people annually, especially impressive considering that number is equivalent to 1/3 of the state’s population! 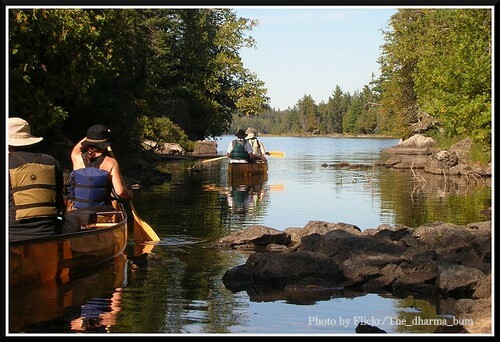 Natural beauty dominates the state and is waiting to be enjoyed in places such as Gooseberry Falls State Park, Voyageurs National Park, Boundary Waters Canoe Area Wilderness, and those world-famous lakes that dot the landscape. Now, families have a great place to share their scoop on all these wonderful spots, as well as the best family-friendly lodging and dining that Minnesota has to offer. This launch was a 100% grassroots effort of families who love to explore and share all the wonderful kid-friendly things to do in Minnesota. Who benefits from the inside scoop on of the best activities, hotels and restaurants this state has to offer? All of us travel happy families looking for new destinations to discover with our kids! Help your fellow parents out- write reviews of activities, lodging, and restaurants in Minnesota. Leading the charge is Amanda Williams (will1494), a Minnesota native and Trekaroo Midwest Destination Guroo. Born and raised in Minnesota and a mom to an adorable son, she has is filled with a wealth of knowledge about her home state, but since Trekaroo isn’t about one person’s advice, rather a coming together of the family travel community, I’d like to acknowledge the 97 founding families who have contributed through their reviews to the Minnesota launch.